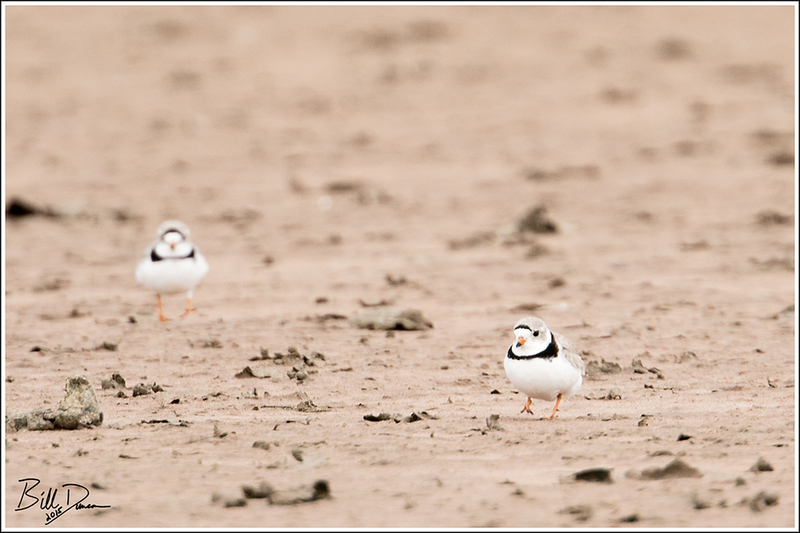 The Piping Plover, or as Pete Dunne has named them – the Sand Wraith, was one of the more special birds that Steve and I were able to view and photograph at Quivira this spring. 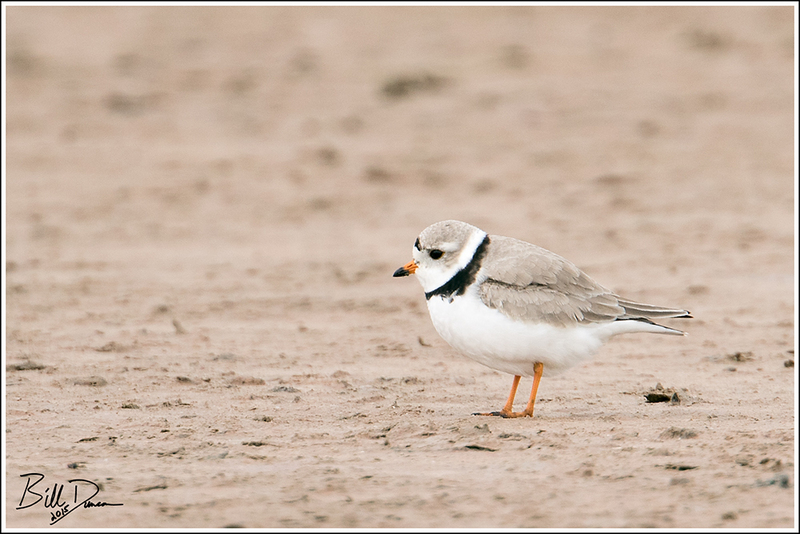 The Piping can be identified by its top color of dry sand (vs. the wet sand-colored top of the Semipalmated Plover) and its bright yellow-orange legs (vs. the gray-legged Snowy Plover). There are currently an estimate of ~2500 pairs of Piping Plover left on the planet – causing this species to be listed on the endangered species list. Unlike most of the shorebirds – who pass over most of North America on their migration north to nest in the arctic tundra, the Piping Plover dares to nest on Atlantic coasts and sandy shores of lakes of the northern plains. It is here where its nesting needs have been overlooked by the desires of man who has converted its coastal habitat to development and flooded its fresh-water beaches and whose dogs and cats have made easy meals of its eggs and chicks.